Field day to Austin State Capitol. I continue to work on my crochet market bags for teacher gifts. 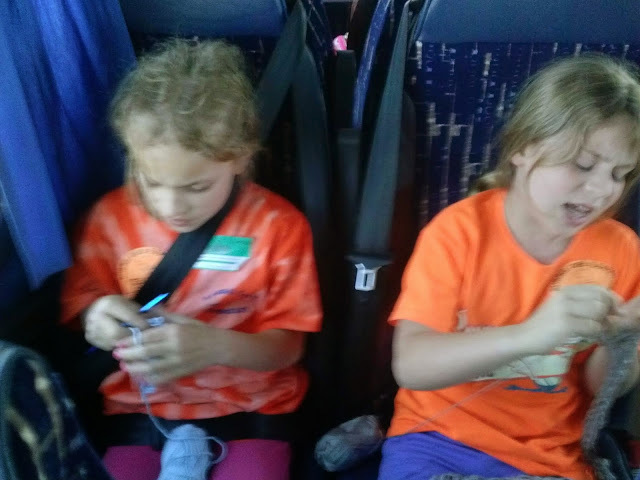 My daughter's classmate borrows some yarn and shows me how to finger knit. Then I teach her to crochet and she teaches my daughter to finger knit. She says this was the best bit of the field trip and she doesn't want the coach journey to end. Sweet!